It was sunny here in Shirahama after a long time. 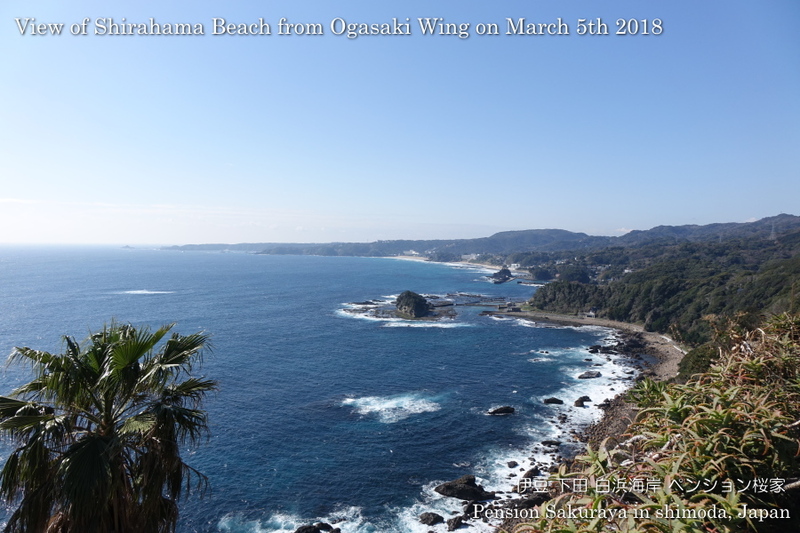 This is the nice view point where we can see Shirahama beach and Izu seven island when the air is clear. 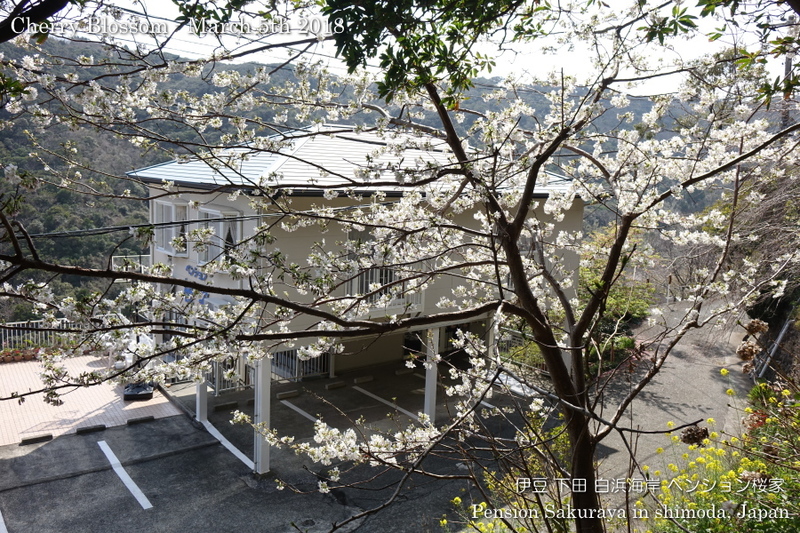 Sakura tree in front of our building is now fully blooming! 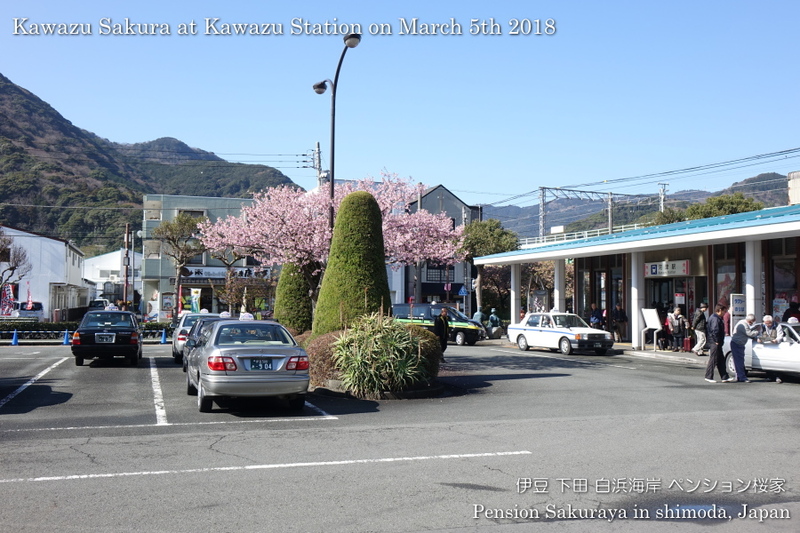 When I had to go to Kawazu town this morning I saw Sakura trees, but most of them have alreday had green leaves except the one in front of Kawazu station. 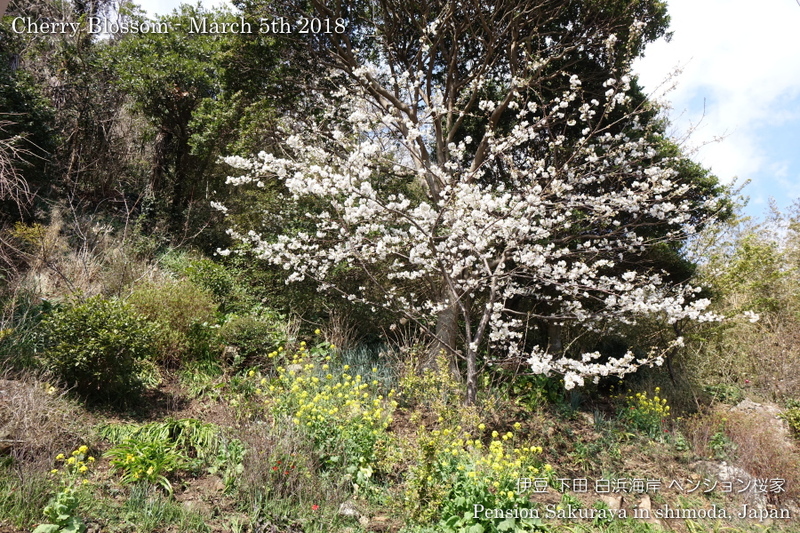 This entry was posted in beach, Flower on 2019年3月5日 by izusakuraya. 2019/03/05 Thank you for staying! They have been to Japan from China a lot of times before, but it was the 1st time to visit Izu peninsula. 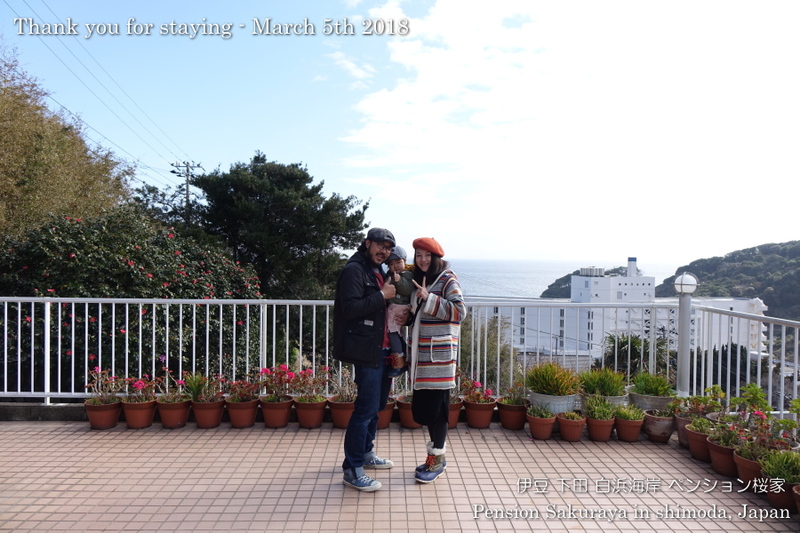 During their stay they had only one sunny day and it had been cloudy and rainy, but they went to Aquarium in Shimoda, Shuzenji, Animal Kingdam and Kawazu town to see cherry blossoms. Thank you so much for staying with us and we would welcome you anytime again in the future! 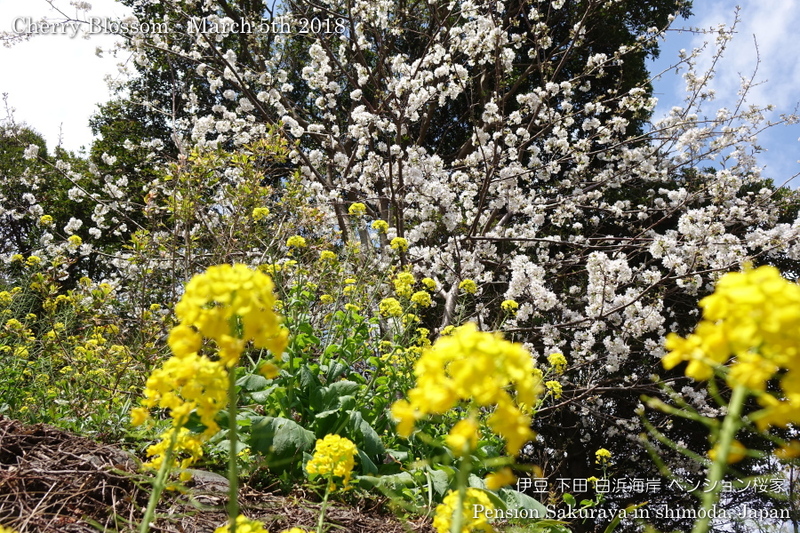 This entry was posted in Customers, Pension Sakuraya on 2019年3月5日 by izusakuraya.